In this Season 2 Episode 10, we see Rick and Shane going on a crazy trip to remove Randall from the farm. Unfortunately they get into some walker trouble at their destination. We feel this was a pointless adventure, but we tag along. There are some awesome walker kills with Rick shooting 3 walkers with one bullet and a lot of knife action (to conserve bullets). As always, you can click the play button above to listen to this episode or subscribe on iTunes. What do you think about our idea to play a clip from the show? Leave feedback below in the comments. 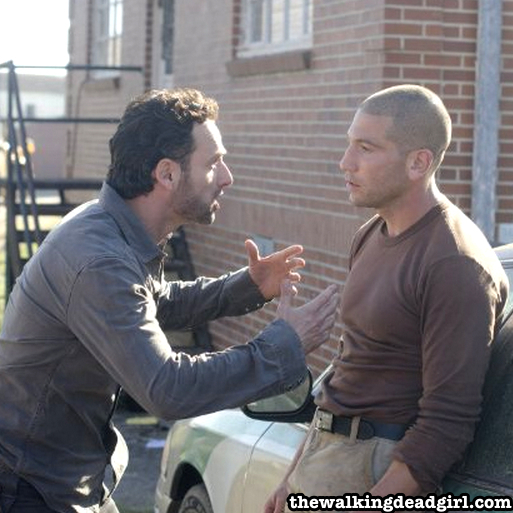 Rick trying to explain to Shane why they drove 18 miles out just to drive right back.